A Patriot from a divided family, who replaces his Loyalist brother as Sheriff. 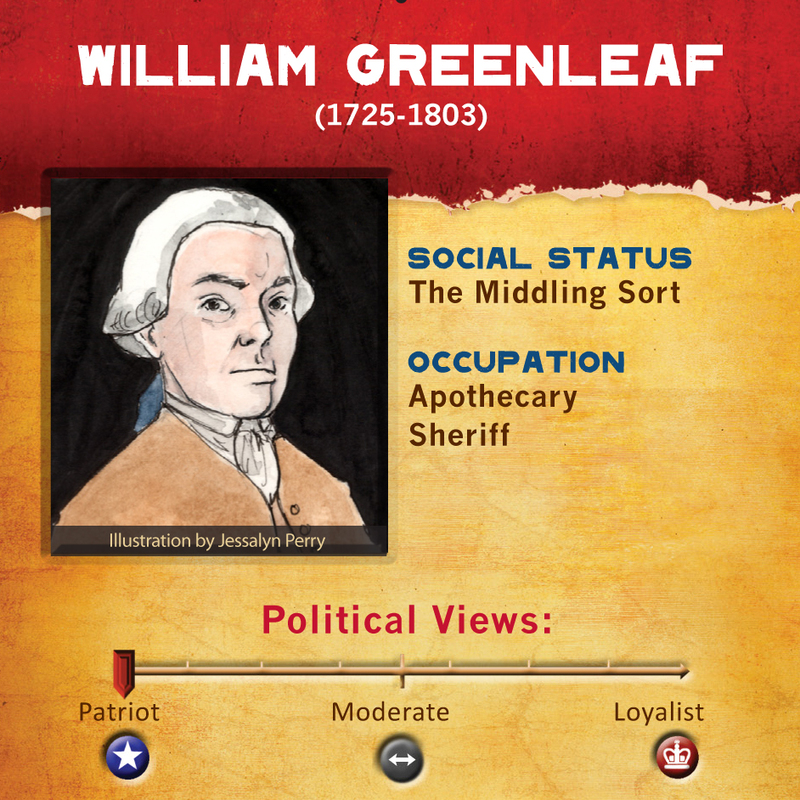 Like many other families, William Greenleaf’s was politically divided. Because of his brother’s position as sheriff before the Revolution, he was compelled to support British laws and policies, while William was free to choose sides as he pleased. This is actually a common refrain, of families being torn apart by differing political affiliations, even when those affiliations are not necessarily actual choices, but rather a continuation of one’s job. Before you become sheriff you are an apothecary with a shop near the center of town. You are appointed by the Massachusetts Provincial Congress as sheriff in 1775 and keep your post until 1780. You are the first to read the Declaration of Independence from the Old State House balcony on July 18, 1776. Although you are not the only man to read the Declaration that day, you are so proud of this event that you keep the copy that you read, frame it, and hang it over your fireplace.